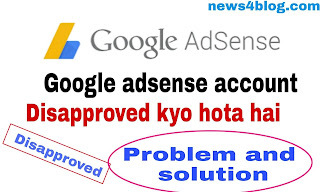 Google Adsense Account kyo disapprove ho jata hai ? या फिर इसका और reason हो सकता है ब्लॉग में extra images , copyright images, site desighn change , disadvantage title ,tags,empty nev bar etc. 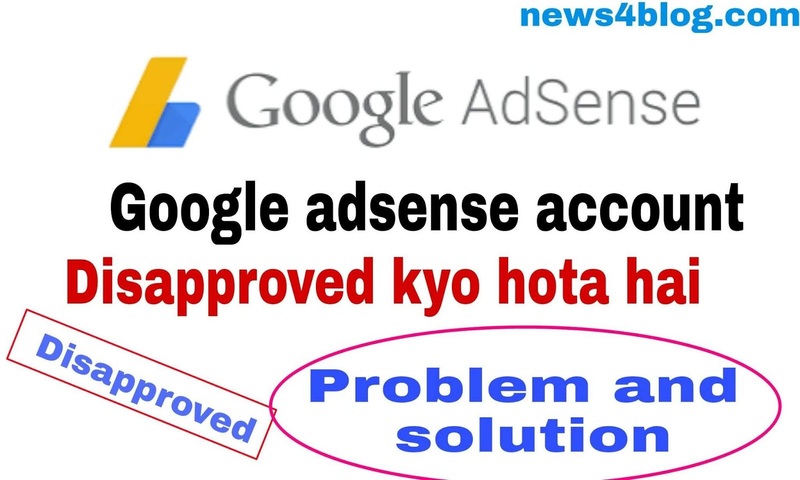 इसके साथ अगर आप without any reasons के video or images का उपयोग करते हैं तो इससे भी Google adsense disable हो जाता है. Bahut Hi Achhi Information Share Kiya aapne ! Sabhi AdSense Users ko Isse Help Milegi !